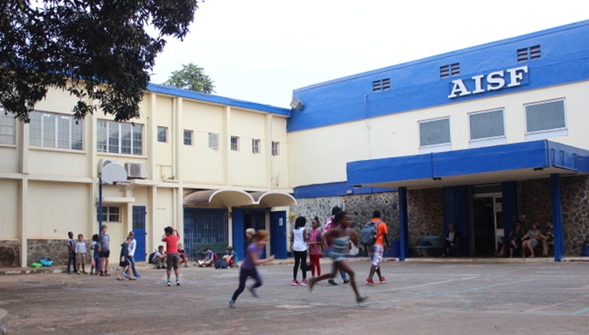 The American International School of Freetown (AISF), a Pre-K – 9th Grade school, has been serving international and host country students, with only short interruptions, since 1986. The school is fully accredited by the Middle States Association of Colleges and Schools (MSA). 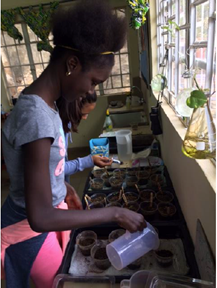 AISF develops students’ love of learning in an internationally recognized, safe, student-centered and interactive learning environment. 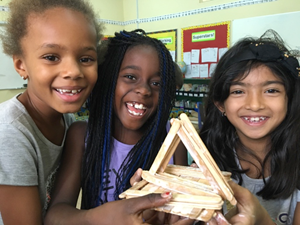 Students develop a global perspective that fosters empathy and prepares them for success in an ever-changing world. Sierra Leone is a country on the west coast of Africa and is currently one of the most peaceful and democratic nations in Africa. It’s known for the beautiful white-sand beaches lining the Freetown Peninsula. AISF has an elevated, airy, wooded school site overlooking the city and the Atlantic Ocean. It is located in Hill Station, close to the British High Commissioner and German Ambassador’s residences. Freetown is a very safe place to live and work and our families close by walk their children to school. The school is fully airconditioned and the grounds contain a playing field and playground equipment. On site security measures are in place, including a perimeter wall, a contracted 24-hour international guard service, and connection to the US Embassy radio network. A Board of Directors governs the school. The Board Chair leadership has been effective and continuous since 2013, despite the Ebola crisis. Board members are highly committed and there is excellent communication and partnership between the Board and the Director. The Director reports to the Board, who monitors school operations with zero interference in actual management. A finance officer and two administrative staff support the Director. 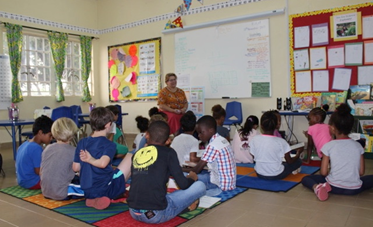 AISF curriculum is fully in place in grades Prekindergarten through grade 8 for all core academic areas as well as special subject areas in French, PE, and Music. Curriculum is referenced with Common Core in English and Mathematics, with Next Generation Science standards in Science, and with McRel standards in social studies. Vertical and horizontal articulation is complete for all grades and subject areas. This year the school introduced basic computer programming classes in grades 1 to 8. The school uses TCI blended learning for both Social Studies and Science in grades 1 through 8. Technology is woven directly into curriculum in all grades, 1 through 8, with a 1:1 iPad program in grades 1 to 4, and a BYOD laptop program in grades 5 to 8. Grade 9 offers a full-day program with on-site faculty. The five academic subjects, English, Social Studies, Math, Science and French use the University of Nebraska High School course to award full US high school credits. 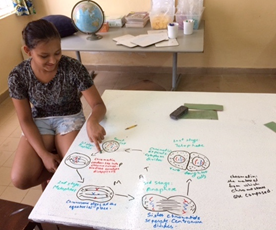 In addition, the high school grades offer student on-site enrichment as well as outreach experiences 2 to 3 times weekly in-service learning and cultural exploration. In the 2017-18 school year, 7 faculty members teach at AISF. 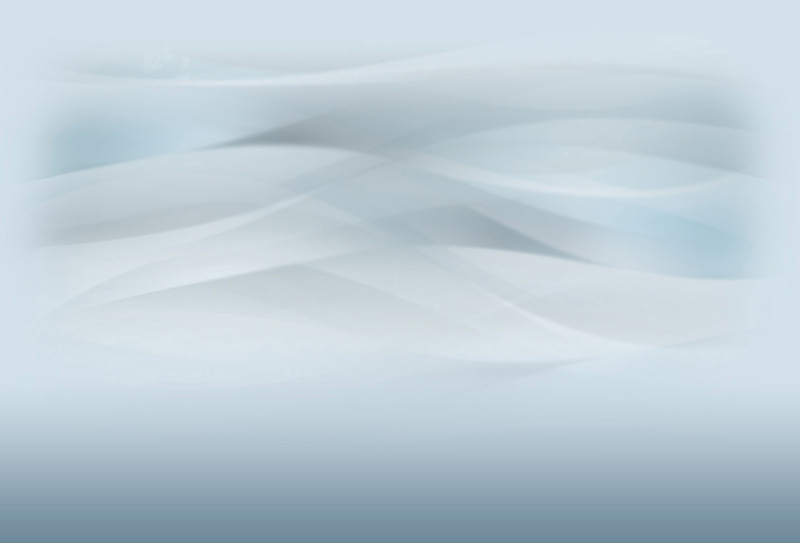 All faculty are US or UK certified and all have advanced degrees. AISF has built an active professional learning community with weekly early release every Wednesday for collaboration, planning and professional development. All faculty have the opportunity for either online or outside school professional development, often attending workshops or conferences through the AISA, our regional professional organization. One of the goals set in the recent Self Study for re-accreditation contains an action plan to provide specific, essential services for students. ELL is the top priority, followed by special educational needs and a counselor. 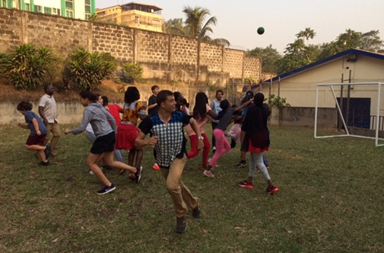 Prior to the Ebola outbreak in 2015, AISF had achieved a student enrollment of just over 100. The year after Ebola, though the 2015/2016 year started with only 20 children, the end of the year saw a successful renewal of a wonderful small school. Since that time enrollment has increased to just under 60 students. Throughout its history average enrollment has been 70 to 80 students. 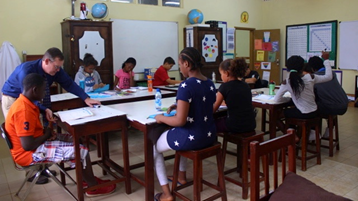 AISF is a highly diverse international school, with 85% of the students coming from oversees since international embassies, UN, aid organizations, and other foreign presences in Sierra Leone remain committed to the designation of Sierra Leone as a family posting. Tuition and other fees generate approximately 90% of the school's income. There is a one-time development fund fee of $4,000 for new students, and an annual capital fund fee of $1,500. The school is currently building reserves and enjoys a stable and healthy financial position. Finances are actively managed by the financial officer and director, and are reported monthly to the Board. 80% of Grade 1 students will achieve 90% or more on part A of the Everyday Math assessments. 80% of students will meet or exceed standard on the AISF report card. Providing appropriate office and learning space for Student Support Services in English Language Learning (ELL), Special Education and Counselling. Sierra Leone is a nation that has experienced both a 10-year civil war (1990-2000) and in 2014/2015 the West African Ebola outbreak. However, the nation remains impressively open in terms of political participation, and currently is looking forward to democratic elections in March 2018 with the current president stepping down in accordance with the constitution and a transparent electoral process. The election process and transition to a new president and parliament are expected to be stable. The staffing and business plan is now complete with five expatriate teachers in grades PreK to Grade 8, and two grade levels per classroom. The grade 9 pilot program will continue into 2018/2019. AISF has a 5-Year Strategic Financial Plan, a Long-Range Facilities Plan, an Emergency Procedures Plan, a planned annual review of curriculum, as well as the recent MSA Reaccreditation Report. All these documents are freely available and can be sent to candidates on request. AISF is in need of a Director with proven experience attracting and hiring quality international teachers to Sierra Leone. 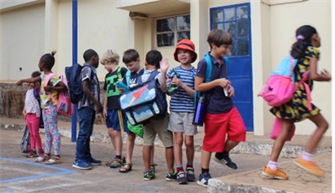 American International School of Freetown (AISF) has appointed Search Associates as consultant in the search for a new Director with Ralph Jahr and David Cramer being the lead consultants. The deadline for applications is 15 April 2018. Candidates are asked to submit a letter of interest and the requested materials as early as possible as the Search Committee/Board of Directors reserves the right to close the selection process at any time if the right candidate is found. The review of files will begin as soon as applications are received. The Search Committee will conduct Skype interviews of selected candidates soon after their applications have been received. Finalists will be selected by 27 April or before. A site visit might be scheduled for the finalist candidate(s) and their spouse. The new Director will be selected immediately after the interviews of the finalist candidates have been completed. A letter of application, explaining your strengths as a candidate and why you are interested in the Director position at AISF. A one-page list of references with current phone numbers, email addresses and the position they held when you worked with them. Total document size should be kept to less than four (5) MB if possible.